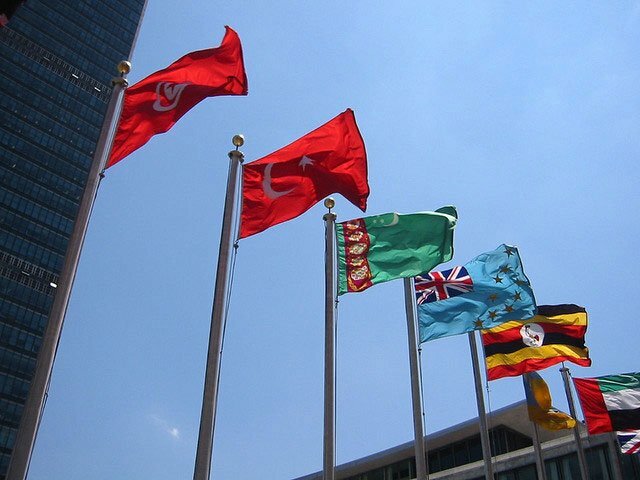 Flags at the United Nations. Photo by WorldIslandInfo.com/Flickr. Patients Are Now Unprotected in The Event of Malpractice While Receiving Medical Treatment Far From Their Home Countries. James R. Goldberg, author of, The American Medical Money Machine: The Destruction of Healthcare in American and The Rise of Medical Tourism has sent a personal communiqué to the Secretary-General of the United Nations, Ban Ki-Moon, and to US Ambassador to the United Nations, Susan Rice, calling for the development of an International Treaty which will govern the growing business of Medical Tourism. Goldberg, an expert on the topic, has set out to prove how totally unregulated the business practice is and how the accreditation given by the JC is currently without any legal recourse for the patient in the event of malpractice or malfeasance. The Joint Commission of Oakbrook, Illinois, essentially sells guidelines and accreditations internationally and does not enforce, police or hold those to whom accreditations have been sold accountable for their actions. The accreditation logo has been sold by the Joint Commission to more than 400 hospitals worldwide. “Their international logo looks almost exactly like the symbol used in the US, so naturally the public perceives that the foreign accredited hospital has been vetted by the US, when in fact it has not. I call this fraud.” the author says. UnitedHealthcare enjoys a close working relationship with Bumrungrad. After years of dealing with the Thai Police, the Thai Military, Interpol, the CIA, the US State Department and the US Ambassador to Thailand, Goldberg’s attempts to implore the government of Thailand to conduct a proper investigation were totally frustrated. In the process, Goldberg put up a website which made all correspondence completely transparent: More than one million visits to the website were made by people from around the globe in hopes that the author’s personal situation would help others make an informed decision about seeking care at the Bumrungrad institution. His book carefully documents his journey and findings. Details of Goldberg’s experience and extensive research into this subject are carefully supported in his book, The American Medical Money Machine, available on Amazon in paperback or Kindle, as well as through bookstores everywhere.